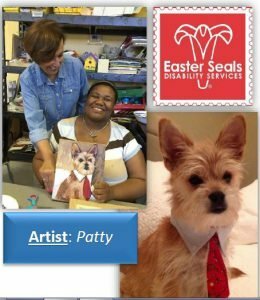 Our talented artists here at Easter Seals Southwest Florida are busier than ever creating a wide array of beautiful projects. Recently we have begun commissioning pet portraits for those who are interested in capturing the likeness of their beloved family pet into a beautiful portrait keepsake. 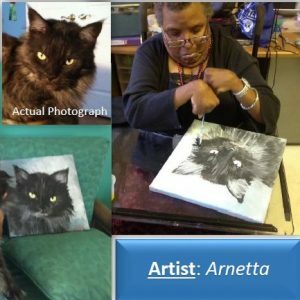 Our artists can paint portraits of any pet, including dogs, cats, birds and horses. All portraits are painted on canvas and can be framed for an additional cost. Prices vary depending upon completed size of portrait. *Contact us today for more information.